Acquiring a new paint job on your car isn’t grounds for police officers in Florida to pull you over. This might seem a common-sense conclusion, but it was one recently decided by the Florida Supreme Court in State v. Teamer, where officers tried to use such logic to justify a stop that ultimately led to a drug trafficking arrest and conviction. Fort Lauderdale drug defense lawyers see this ruling as an important one in that it narrows the circumstances under which police can claim a legitimate stop based on non-criminal activity. This case stems from a stop initiated in June 2010 in Escambia County. The defendant was driving a bright green vehicle. The deputy in question noted the car, and continued on patrol. When he circled around, he saw the car again and ran the registration information on it, as is standard procedure. In doing so, he noted the color of the vehicle was different than what was indicated on the vehicle registration that corresponded to the license plate. Based on this, the deputy conducted a stop. When he interviewed the driver, he learned the car was painted recently, which explained the discrepancy. However, in the course of the stop, the deputy noted a strong smell of marijuana coming from the car. He conducted a search, and discovered marijuana, crack cocaine, scales and more than $1,000 in cash on the driver. This lead to the driver’s arrest on charges of trafficking in cocaine, possession of marijuana and possession of drug paraphernalia. The defense attempted to suppress the evidence on the basis that the stop was not legal, as there had been no reasonable suspicion that a crime had occurred or was about to occur. The deputy conceded the driver had not violated any traffic laws, and the sole reason for the stop was the vehicle color discrepancy. The court denied the suppression motion, and the driver was convicted on all counts. 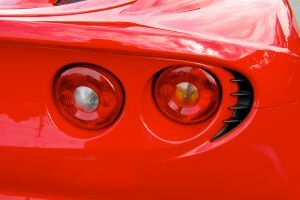 The appellate court reversed, finding that while such discrepancy could indicate the vehicle was stolen, this one hadn’t been reported as such, which the deputy knew prior to stopping the car. Additionally, any such concern has to be weighed in consideration of the driver’s Fourth Amendment right against an unreasonable search. Although the district court indicated there had been several prior cases in which vehicle color discrepancy was listed as one reason for the stop, the appellate court held it can’t be the only reason. Otherwise, the court reasoned, everyone with a new paint job on their vehicle would be subject to a stop and search. The Florida Supreme Court affirmed the appellate court, ruling there simply was not enough justification for the stop in this case, and that officers need more to form a basis of reasonable suspicion than simply vehicle color.